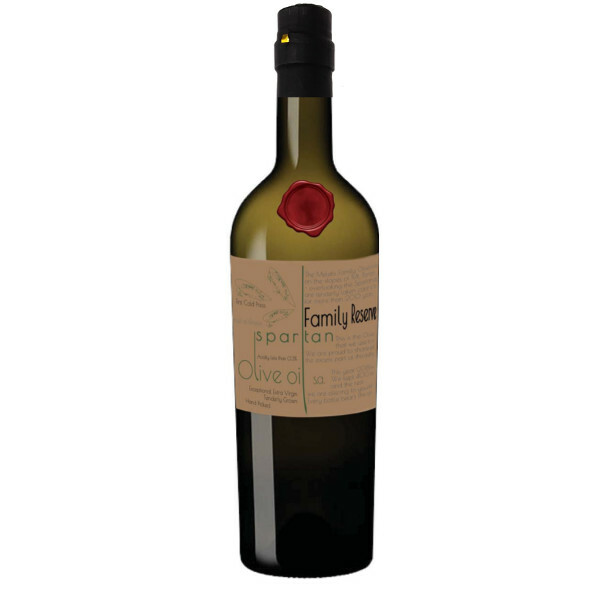 Family Reserve (Crop 17-18) (Not Available in the US) | SPARTAN OLIVE OIL S.A.
We are sorry to inform our customers, that the ¨Family Reserve¨ bottle, is currently not available abroad. 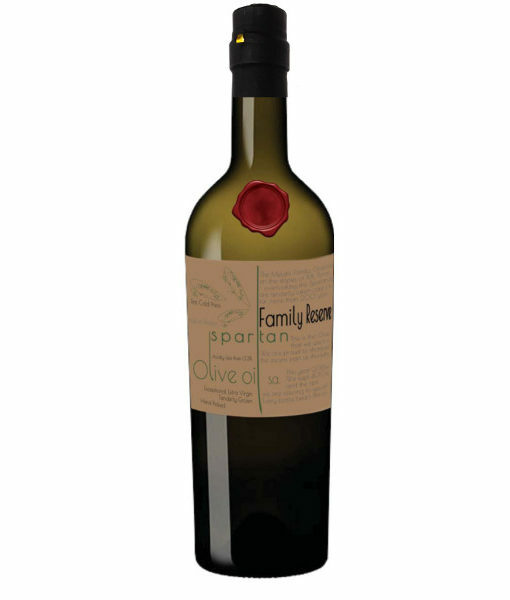 The Meletis Family Olive Groves, on the slopes of Mount Parnon (overlooking the Spartan valley) are tenderly taken care of, the traditional way, for more than 200 years. These groves supply our family table with delicious olive oil and olives. We have kept 400 for our family and friends and we are proud to share with you the rest of this authentic, stellar, high end oil in 1,790 numbered bottles. Every bottle bears the signature of the president. Olive oil polyphenols contribute to the protection of blood lipids from oxidative stress. The beneficial properties of extra virgin olive oil are insured with the consumption of at least 20g daily.